Our workshop is situated in Sheffield at Portland Works, the birthplace of stainless steel manufacturing. Commissioned in 1876 and completed by 1879 it is one of the last remaining working examples of a purpose built metal trades factory. 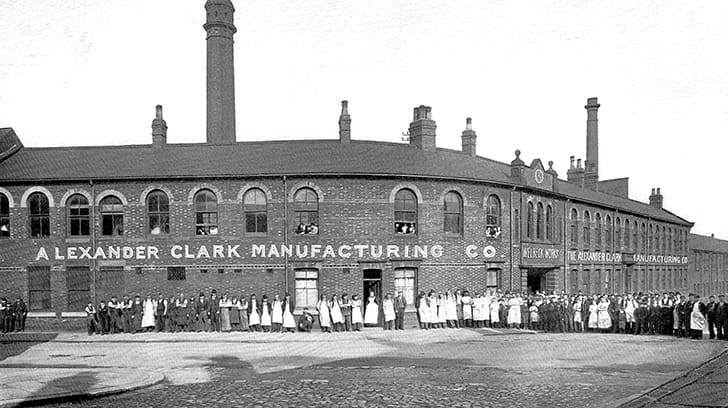 In 1914 Mosley's at Portland Works, Sheffield became the first place in the world to make stainless steel cutlery, in a collaboration between Harry Brearley and works manager Ernest Stuart. 'Rusnorstain' cutlery became famous and continued to be made at the works until the 1950's. Following a half-century of neglect, the building was purchased in 2013 by a social enterprise supported by over 500 dedicated community shareholders who, having saved it from residential conversion. The grade 2* listed building has been reborn as a centre for small manufacturing, independent artists and craftsmen, with more than 30 small businesses located within the 2600 square metre floor space. Bailey of Sheffield are proud to be amongst knife makers and sharpeners; metal engineering firms; cabinet makers and joiners; jewellers and silver platers; artists; rug and guitar makers; photographers and even a Yorkshire based gin distillery.